Bloom progression sped up slightly Wednesday and Thursday, despite continued stormy weather. 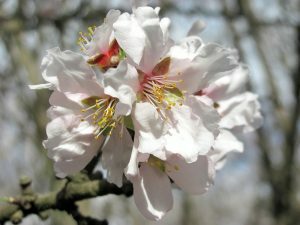 While not evident by the number of open flowers, the number of buds with petal tissue showing is between 40 and 50% on Nonpareil, Monterey, and California type pollinizers throughout the state. 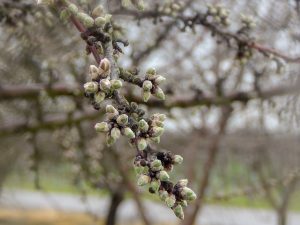 Less than 10% of the buds remain dormant in those varieties, except in the Sacramento Valley which is about 2 days behind the rest of the state. Carmel remains two days behind Nonpareil in all growing regions. The late blooming Butte and Padre are continuing to break dormancy, although no flowers have opened yet. Bloom overlap appears consistent within each orchard. A warmer storm front moved through the central and southern regions on Tuesday and lasted through Wednesday afternoon. This helped to slightly accelerate bloom progression, while short periods of sunshine allowed for some intermittent bee activity. 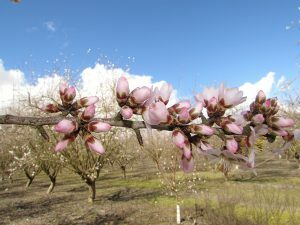 Temperatures stayed lower throughout most of the Sacramento Valley, slowing down bloom progression and keeping bees close to the hives. 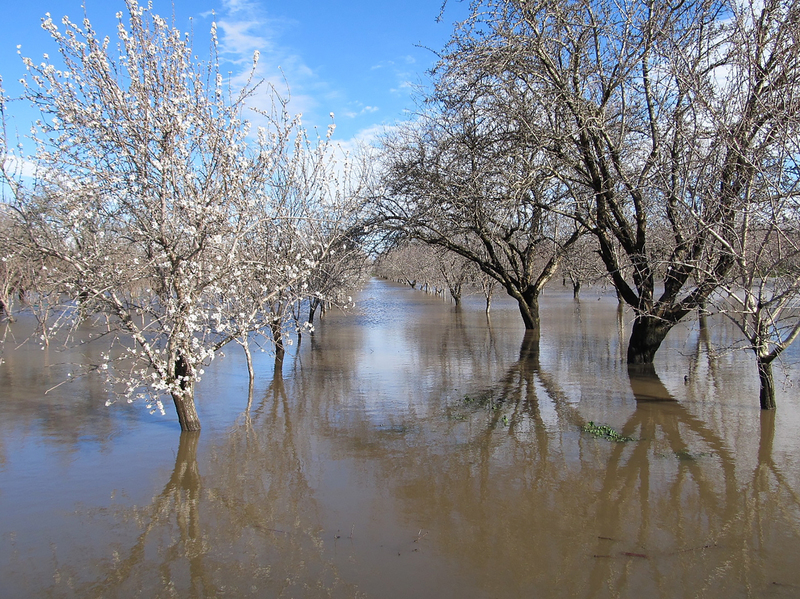 Large amounts of precipitation has led to flooding in some parts of the Sacramento Valley. 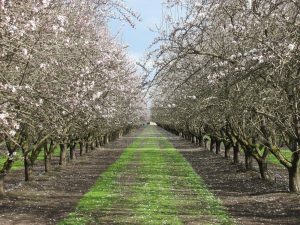 Throughout the state, growers have had limited field access due to saturated soils, leading to very minimal orchard activity over the past 3 days. Wind: 15 mph. Gusts up to 40 mph. Wind: 3 mph. Gusts up 10 mph. Bee Activity: 3 hours of fair activity between storms. Wind: 10 mph. Gusts up to 25 mph. Rain: .3" throught the day. Bee Activity: 3 hours of good activity between storms.